Danish news media company implements ONSET as part of its strategy to generate more page views and boost ad revenues. NEWSCYCLE Solutions, the leading provider of content management, advertising and subscription technologies for the global news media industry, today announced its latest ONSET web content management system go-live at Skive Folkeblad (http://www.skivefolkeblad.dk) in Skive, Denmark. Skive Folkeblad is a daily news media company serving the Jutland region in the north of Denmark. Skive selected the Newscycle ONSET platform to help meet the demand from readers and advertisers for a more modern and responsive website. In addition, ONSET allows Skive Folkeblad journalists to easily create “neutral first” content that can be shared seamlessly for online or print publications. Newscycle has developed more than 100 extensions and plug-ins – known as ONSET modules – that enhance the Drupal 8 platform with added features and functionality built to streamline the content creation and publishing process for all web, mobile and print channels. With ONSET, journalists and editors get a unified set of essential tools required for modern digital storytelling. Skive Folkeblad’s 20 journalists use ONSET on a daily basis to create and manage content for the skivefolkeblad.dk website. In addition, ONSET allows two-way story sharing with the company’s Newscycle Content editorial system. “The tight integration with Newscycle Content makes it easy for our reporters to publish content both for our printed paper and to our website,” said Østergård. The feedback to date is encouraging. Skive Folkeblad reports that readers are giving the new website “very positive responses” on the company’s Facebook page. In the next phase of the project, the company plans to add a paywall module to enable subscribers to access premium content. The ONSET platform at Skive Folkeblad is hosted in the Newscycle Cloud, which is powered by Amazon Web Services (AWS). This makes the system easy to upgrade and provides the site with the highest level of stability, security and performance required by modern news organizations. In addition, ONSET’s Drupal 8 technology platform enables fast, modular development with the ability to add features from the worldwide Drupal community. 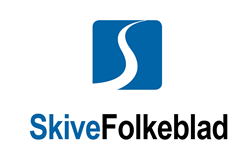 With the Drupal modules that Newscycle has developed, Skive Folkeblad was able to implement a complete content management solution with functionality designed specifically for news media companies. NEWSCYCLE Solutions develops and delivers software technology that empowers the global news media industry. Our editorial, advertising, circulation and mobile solutions enable publishers to drive profitability, accelerate digital business models and optimize core print operations. We help our clients create stronger, better-informed communities while safeguarding the integrity of news, advertising and customer information. Newscycle is a trusted partner serving over 1,200 media companies with 3,000 properties producing more than 8,000 titles in 30 countries. Our company is headquartered in Bloomington, MN and has U.S. offices in Florida, Michigan and Utah; with international offices in Denmark, Germany, Malaysia, Australia, Sweden, Norway, Canada and the United Kingdom. Please visit http://www.newscycle.com for more information or write to us at info(at)newscycle. (dot)com.